Who says great things can’t come in small packages? 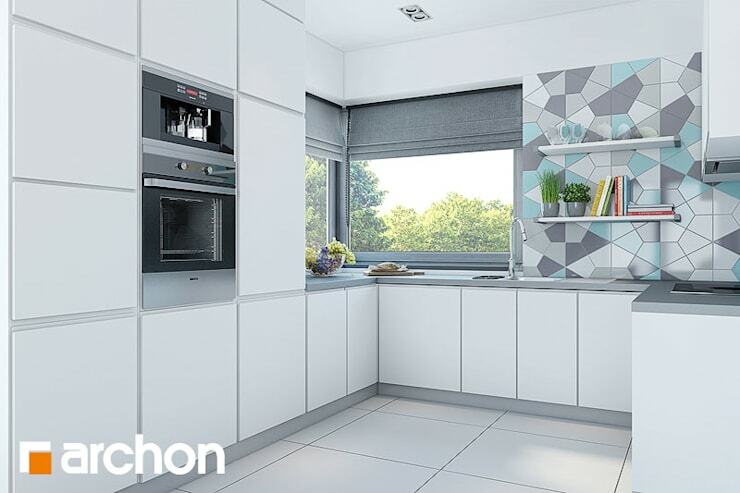 Today’s feature home is compact, characterful and sure to impress. 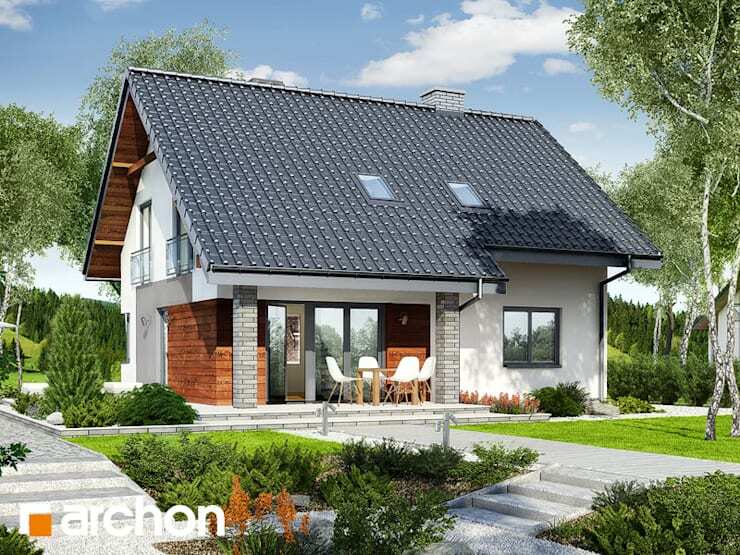 Designed by Poland-based architects Archon, this dwelling is currently in its 3D render phase, and lets us see exactly what it will look like once complete. 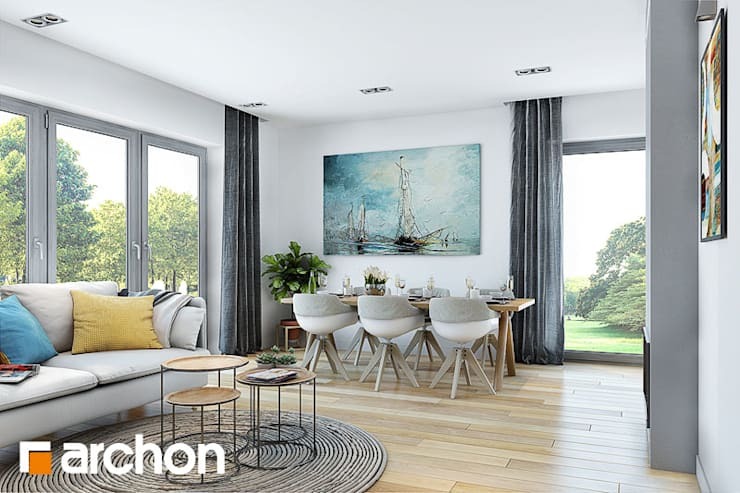 Boasting 176m2 of living space set over 5 rooms with a large kitchen and open plan living space, we’re sure you’ll pick up a few tips and tricks during the tour. 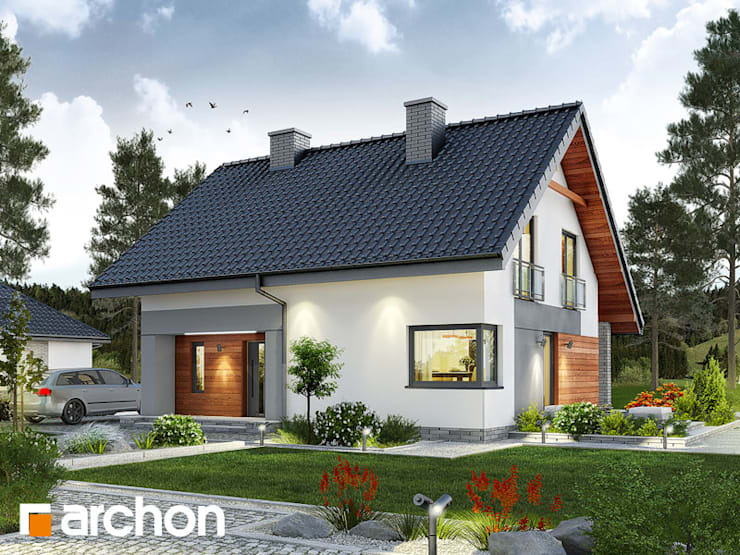 As a modular residence, this dwelling also offers a friendly price for such a spacious and usable home. 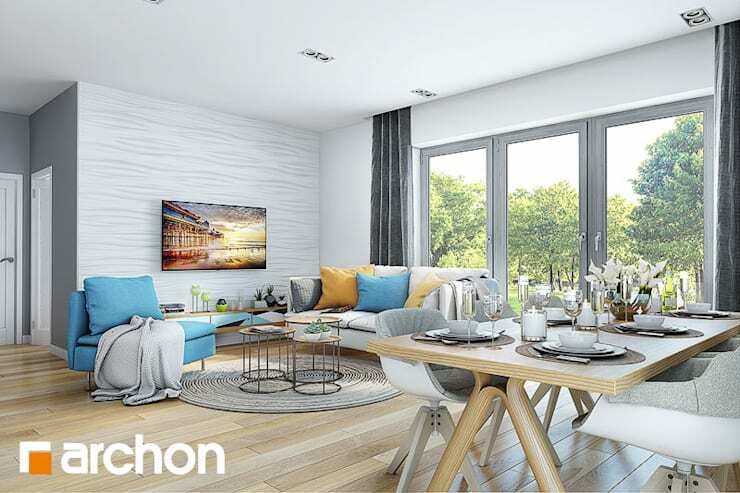 Constructed for the reasonable sum of HK$ 4,355,000 the house would definitely suit first home purchasers or those looking to upgrade their family to a larger property. Wow! This home's frontage certainly doesn't disappoint! Although not yet built, the 3D renders give us a fabulous idea regarding the final look and feel of the project. This modular house is easily and efficiently constructed, and can be set up exactly like this one. Two chimneys indicate internal heating, while the steeply gabled roof is traditional and eye-catching. A white fascia offers timelessness, contrasting beautifully with the darker blue roof tile and rich timber eaves. Other timber tones have also been implemented, and can be seen on the front door, as well as some side panelling. A manicured garden is also imagined here, and would suit a friendly suburban locale where children can play safely. Around to the rear of the abode we see the designers haven't stopped including a range of impressive features and additions. The entertaining space sits built into the gable roof, while the upper-storey bedrooms can also be seen to the left. These feature large doors with Juliet balconies and make use of the huge roof space. The patio is well formed and planned to accommodate outdoor-indoor living, suiting individuals who like to entertain and host events. Inside the home the decorative style and furnishings certainly do not disappoint. 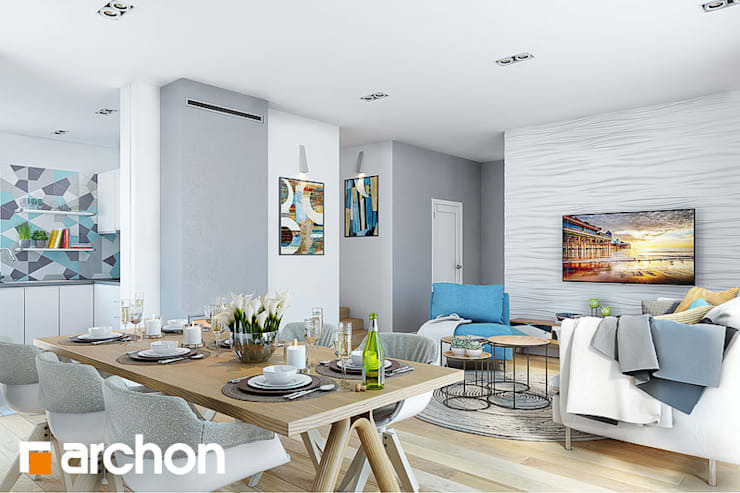 The scheme is light and bright, with gorgeous open plan living and dining spaces. Furniture is simple and modern, while the ceilings offer recessed window dressings that provide privacy when needed. In the other section of the room the dining space is well-designed to host glamorous dinner events or simple family get-togethers. The furniture is once again modern and timeless, with bright wall art that ensures the interior is anything but boring. We're also able to witness the huge volume of glazing that is implemented and included in the design, offering a cohesive blend of exterior and interior living. The threshold between the garden and the living spaces is blurred, creating a contemporary ambience and atmosphere with ease. Do you like the way the bright hues intersect the muted colour scheme? As well as a gorgeous open plan layout, the designers have certainly not scrimped on their ideas for the furniture and chromatic palette. Neutral tones abound, and are paired with brighter inclusions that offer an eye-catching divergence from the typical sandy and white shades. What do you think of this sleek cooking space? The kitchen is exactly what we expected with fitting free joinery that spans the floor to ceiling space. Eclectic tiling offers something a little different, while the wrap-around window brings ample light within this popular domestic space. Would this home suit you or your family? Let us know below!